Any picture of the ATN 789 "Fakarava" B1 flight in CHS ? What matters is there is a cash issue. Anyone know if Polaris has been installed or are they waiting for the shipset to arrive? Not yet. Only a boring tail pic behind a blast fence. Not worth posting. But when it goes on it's first test flight I'll be there. It's great that you're posting pics again Cass. Appreciated here and by everyone else for sure, even the white half painted ones. You should post up your Shanghai from yesterday too. Please keep up the good work at CHS! Thanks for such kind words Rob! It makes me happy everyone is enjoying the pics. I was on vacation for a while and photography isn't liked very much at Charleston International so from time to time I have to slow it down. I'm back in it now. Looks like they found enough coins wedged between the seats to cover one delivery payment. I wonder how many of the others will ultimately fly for them. You're reading too much into this. Unfortunately this one was leased from Bank of Communications hence why it was delivered. All the direct purchases from Hainan, both Boeing and Airbus, are on hold. 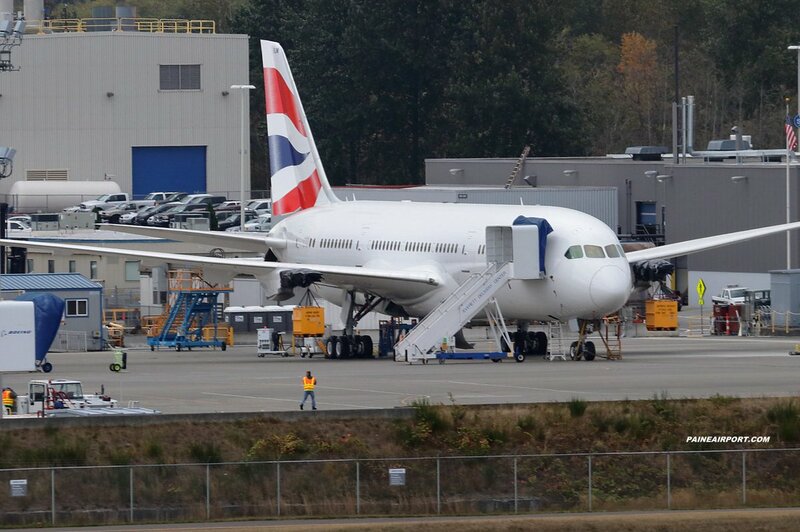 It appears that 3 additional HU B789s are being delivered today, (as well as their first A350). The financing has obviously come through. Delivered - G-CKWN arrived from PAE at LGW this afternoon. Air Tahiti Nui's F-OMUA is currently on its B1 flight out of CHS. I have a question re G-CKWN. When I saw it land this afternoon at LGW on it's delivery flight, the engines looked distinctly not new - ie, instead of the usual metallic blue hue that new engine exhausts have they were a sort of pale brown rust colour ! Has this aircraft been fitted with older reworked RR engines ? 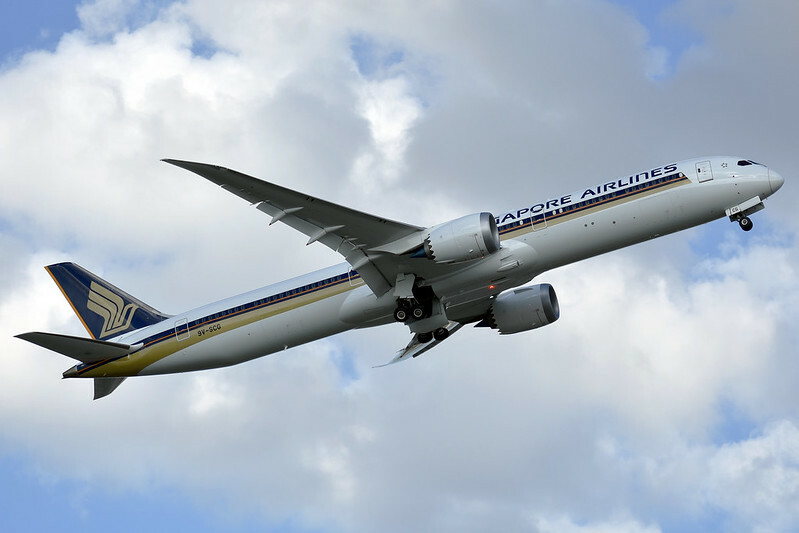 Also a very nice pic of Shanghai's 2nd 787 frame B-1112 a bit further down his twitter feed thingy. Great work Cass, your efforts there are appreciated. 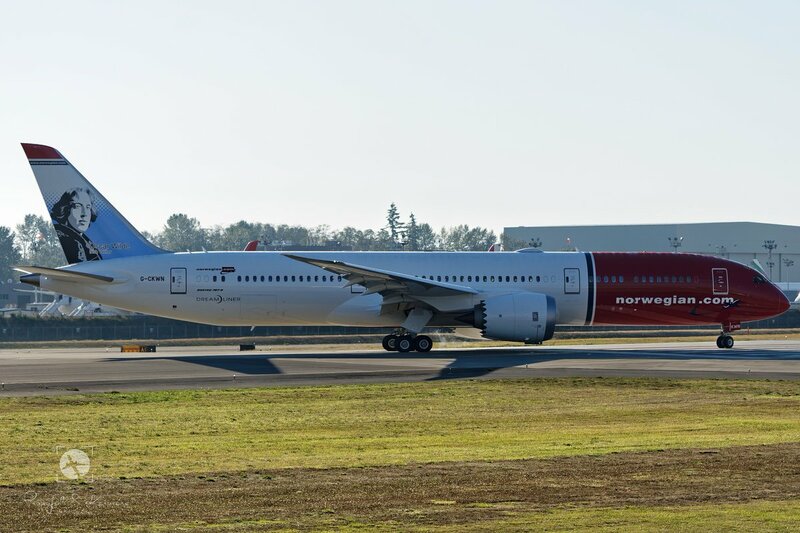 I am not sure if this is applicable to what you sore, but some airlines are choosing to fly a combination of a new and old engine, regardless if the 787 is new or not. I suspect this allows the airlines more flexibility in cycling their engines through the system whilst at the same gives them an addef safety margin if something were to happen to an older (or newer) engine. Is Qatar Airways receiving their 787-9 this year or next year. Thanks again for the kind words Rob! And here she is. Wish it was sunny instead of raining. 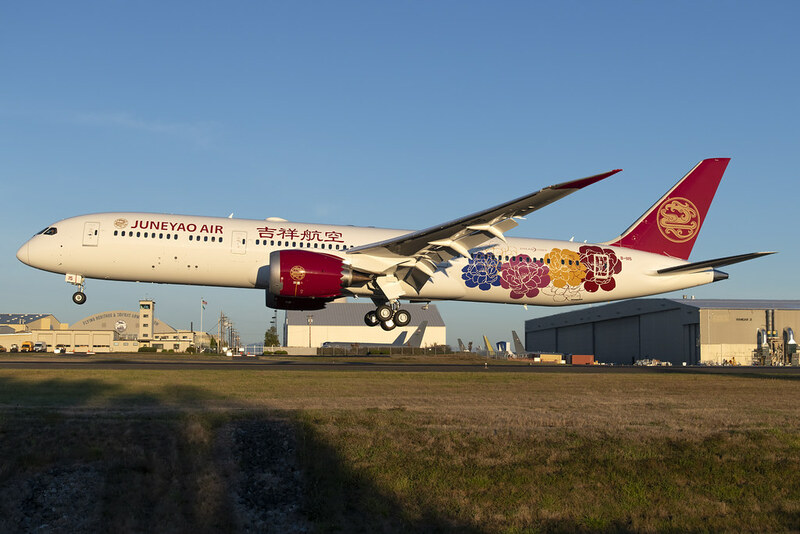 At the end of February 2015 Boeing had a "Billion Dollar Friday" with five deliveries - two for Qatar, one for Japan Airlines, one for Ethiopian Airlines and one for American Airlines. Second half of 2019 at the earliest. Engines have yet to be chosen/confirmed. The AA delivery is listed by Boeing a day after the other 4. If you just look at deliveries to a single airline, China Southern Airlines contractually took delivery of their 1st 3 787-8s on the same day, 24-Dec-2013. 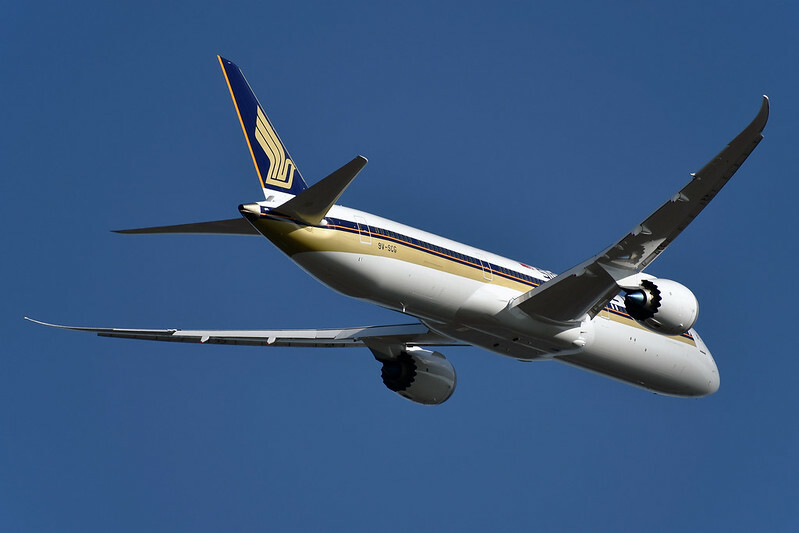 2 deliveries on the same date has been more frequent, for example Qatar had 2 787-8s and 1 77W delivered on 27-Oct-2014. Thanks to all for sharing info with great pictures. Anyone have the September and YTD delivery total? Based on nyc787.blogspot.com, 103 787 have been delivered this year till end of Sept. Last being Avianca N796AV on 30th Sept 2018. Boeing website stated 88 delivered by end of August. That's pretty amazing for a widebody - 15 in one month! You can check here http://nyc787.blogspot.com/ for future reference. Sheet #3 in Excel file for current production list. Etihad's will be delivered today 1st October 2018, United 1st November 2018, not sure if this is a typo. And July and August saw just 8 deliveries each, supply issues with seats and RR engines were to blame. So Boeing has still some catching up to do! Yes indeed, the July and August were a bane. Their target for delivery in 2018, according to the blog, is 147, if they can maintain 15 for both Oct and Nov, and another 13 for Dec, they may hit the target. However 13 in Dec is a tad bit impossible though. How long does Boeing closed for Christmas? The most 787 deliveries in 1 month was actually in December 2014, Boeing delivered 18 in that month. So a high number of deliveries in December is possible. We'll see if they make the planned 147, or even just 144 = 12 per month rate. There can always be more delays for specific frames. At least the production is at a steady 12 per month right now. 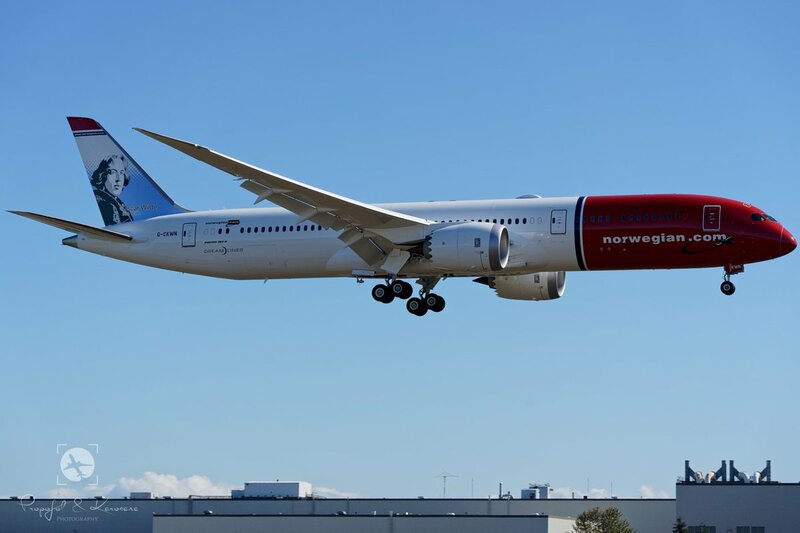 As for the next 787-10 1st deliveries, is the GE version already certified? No typo.. Nov 1st has been the scheduled date since before roll out some months ago. Whether this is because of engine certification, Polaris installation, or just because UA wanted it this way, I do not know. The other three scheduled this year are planned for early/ mid December. How long does Boeing closed for Christmas? Winter Break is the last week of December (so 24 December 2018 through 1 January 2019). Boeing will perform deliveries (at least contractually) during this time, however. 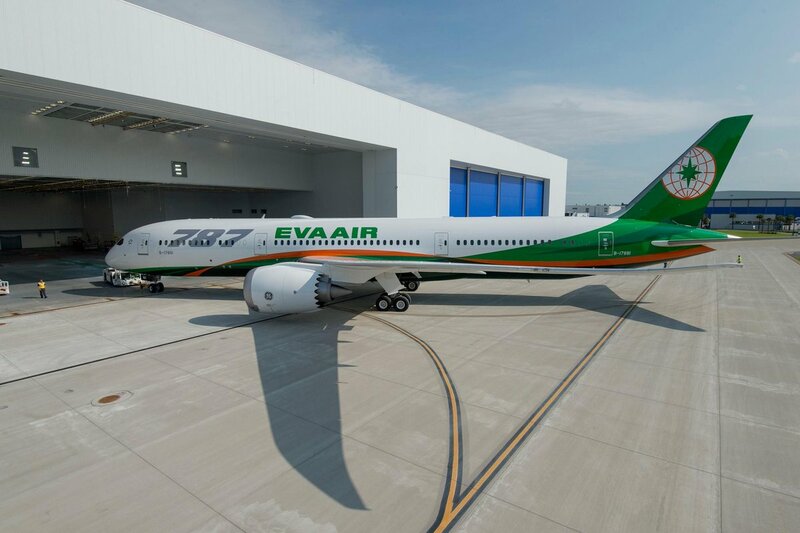 Any airplanes that stand a chance of being delivered prior to Jan 1st will be flown during that period as necessary and if a customer ends up flying away during that period Boeing will support the flight. Ideally everybody gets the week off but most of the time airplanes of one model or another are flown over Xmas. Been there, done that. IIRC shop gets triple time. 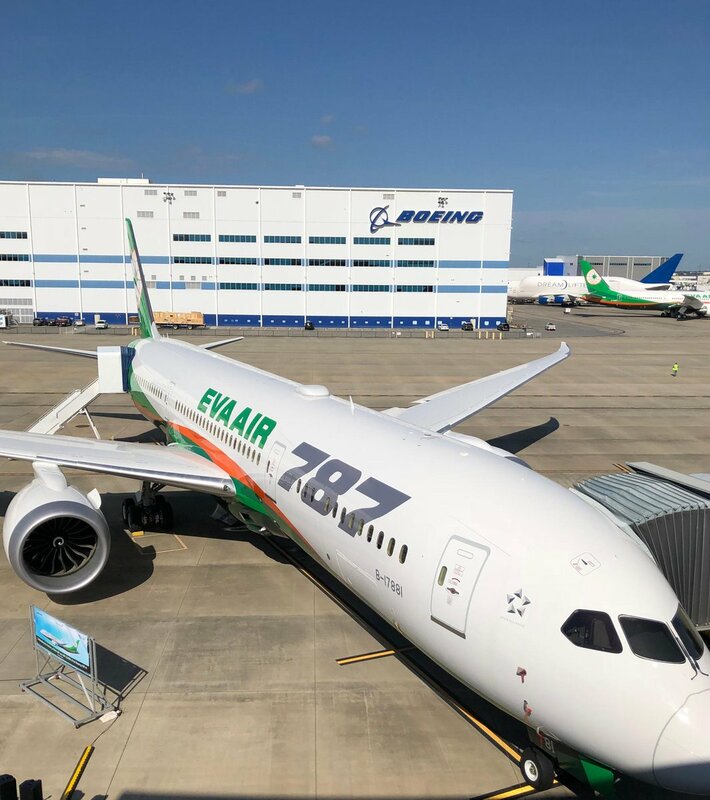 Any news on Etihads first B787-10 delivery? Test frame 787-10 BOE002 is heading back to CHS from FTW after being there for a month. Still pinging N565ZC from the transponders. Due into CHS at 8pm local - I wonder if our roving reporter Mr. Cass may be able to catch a glimpse of it and update us on the paint scheme status? Here are my shots of BOE002 departing from FTW. Shame the lighting went to total shite, but here goes nothing! If it was the middle of the summer at 8pm I'd have enough sunlight but not these days unfortunately. I'm pretty bummed.